Happy Sunday one and all! I'm sorry I have been quiet lately. I have been busy working on some quilting projects. If I ever get around to taking some nice pictures, I will share them here. Today I really, really wanted to make a card. I have purchased a lot of great products lately and I NEED to use them. I happened to get an email reminder today that the Color Throwdown challenge #ctd 504 would be ending tomorrow. I checked out the colors and decided to go with it. I took a look around my very messy desk and grabbed a few items that I had out. 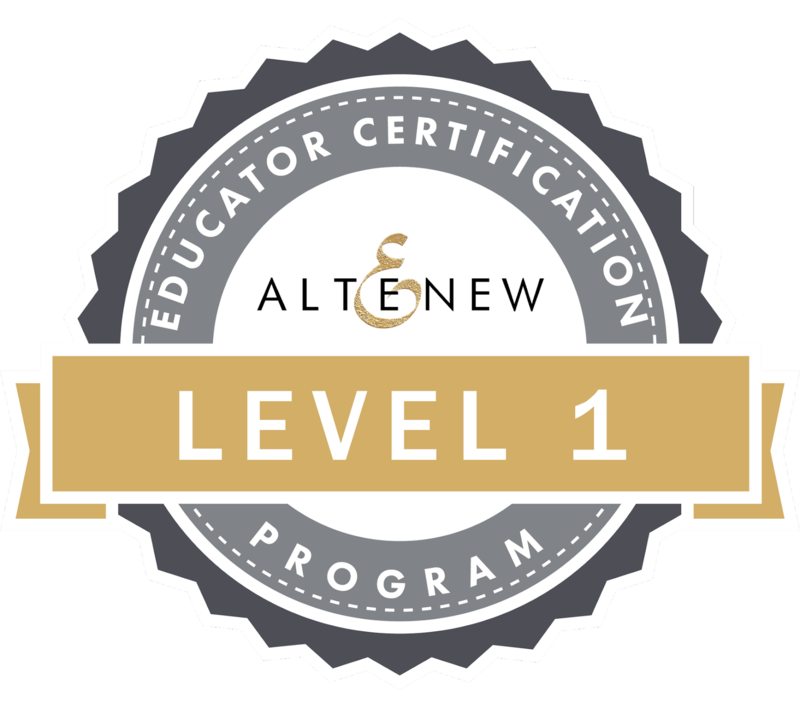 You can find all the details on how to participate and link up HERE. The middle color is copper and I knew I had a gorgeous copper embossing powder from Hero Arts in my stash. 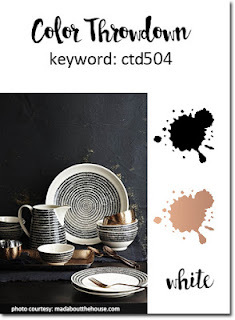 Oh that splendid copper!! Swoon!! 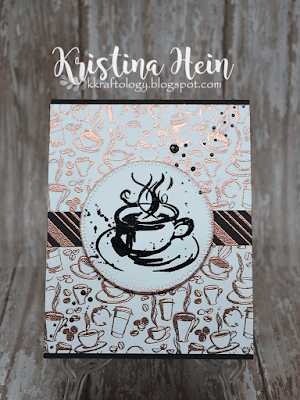 I stamped the Love of Coffee background stamp from Picket Fence Studios on to a piece of Neenah Solar white with the Ink on 3 embossing ink pad. I sprinkled the embossing powder liberally over the entire card front. I let my heat gun warm up and watched the magic happen. Gets me every time. I set it aside. 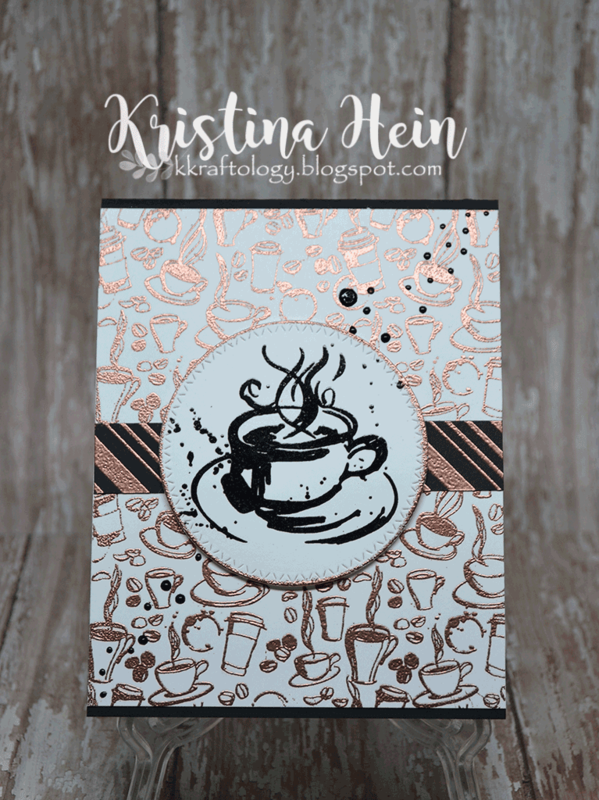 Next I grabbed a scrap piece of black cardstock and stamped the Candy Stripe background stamp from Hero Arts and used the same copper embossing powder. I stamped the coffee cup from the Coffee with a Splash set from Altenew using black Versafine ink. I sprinked it with clear embossing powder and hit it with the heat tool. I cut the coffee cup out with a circle die from MFT Stamps. I used the Ink on 3 embossing powder and gently swiped it all around the circle edges. Copper embossing powder and melt. I layered all of the pieces onto the black card base. The circle was adhered with foam tape. For the last bit of detail I added dots of black Pico Embellisher. All done. I am quite pleased with the final product! Hopefully I'll be back soon with more cards to share!